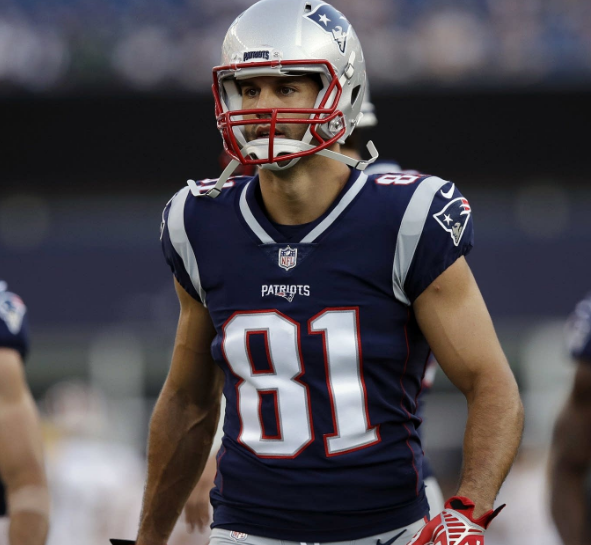 One of the former American football wide receivers is Eric Thomas Decker who is famous as Eric Decker. In the third round of the 2010 NFL Drafted, he was drafted by Denver Broncos. Eric Decker’s full name is Eric Thomas Decker. He was born on 15 March 1987 at Cold Spring, Minnesota. His father name is Tom Decker and mother name is Sue Meyer. He attended Rocori High School. At school, he played football, basketball, and baseball. He was named in football team MVP two years in the row. He attended the University of Minnesota. Decker’s height is 6 m and weight is 97 kg. His eye color is light brown and the hair color is black. He has the balanced and healthy body. As a freshman, he finished with 378 receiving yards and three touchdowns. As a sophomore, he finished with 909 receiving yards and nine touchdowns. In 2008, he finished his junior season with 84 catches for 1074 yards and seven touchdowns. As a senior, he finished with 758 receiving yards and five touchdowns. In 2010 season, he was drafted by Denver Broncos. He then signed the four-year contract. He finished his rookie season with 6 catches that went for 106 yards and a touchdown. In 2011 season, he finished the season with 44 receptions for 612 yards and eight touchdowns. In 2012 season, he had 85 catches for 1,064 yards and 13 touchdowns. He finished ranked 20th in the league in terms of yards for wide receivers and the 13 touchdowns were the second most among wide receivers in the season. In 2013 season, he had 87 receptions for 1288 yards and 11 touchdowns. In 2014 season, he signed the five-year contract with New York Jets. He made 10 receptions in 221 yards and one touchdown. In 2015 season, he made 80 passes for 1027 yards and 12 touchdowns. In 2016 season, he was fined. He made nine receptions for 194 yards and two touchdowns. On 12 June 2017, he was officially released by Jets. On 18 June 2017, he signed a one-year contract with Tennessee Titans. He finished the season with 54 receptions for 85 yards. On 2 August 2018, he signed the one-year deal with New England Patriots. Decker is the married man. He is married to Jessie James who is a singer on 22 June 2013. The couple has three children named as Rose Decker on 18 March 2014, Eric Thomas on 3 September 2015 and Forrest Bradley Decker on 31 March 2018. He along with his wife have started the E! reality show named ‘Eric and Jessie: Game On’ which got premiered on 29 September 2013. Decker’s net worth is estimated to be $10 million. 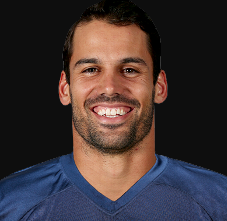 Decker announced his retirement from NFL on 26 August 2018.